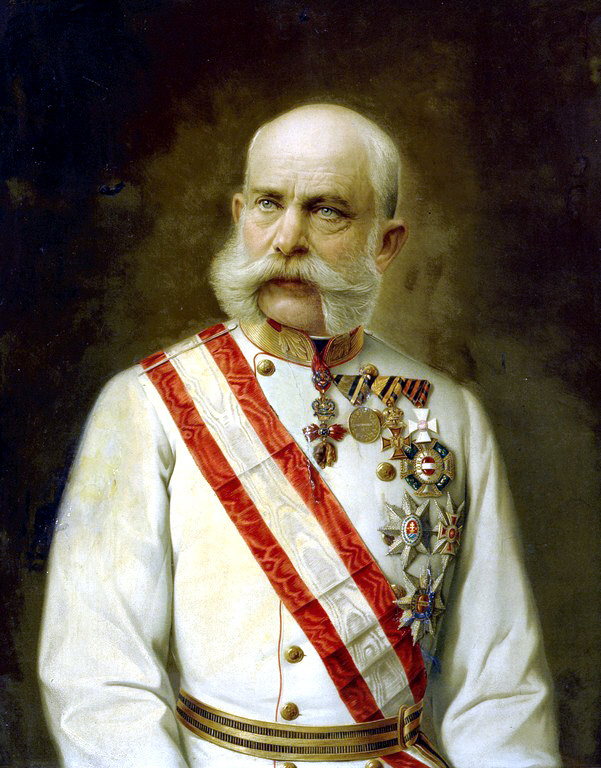 Emperor Franz Josef (1830 – 1916) of the Austro-Hungarian Empire reigned for an amazing 68 years and is probably best remembered today for his complicity in starting World War 1. Conscientious, unimaginative, hardworking, pig-headed, but essentially stupid, his tenure was to be marked by military defeat, political decline and personal tragedy. His wife was murdered, his son died in a suicide pact, his brother – the so-called Emperor of Mexico – was shot by a firing squad and his nephew’s assassination triggered disaster in 1914. 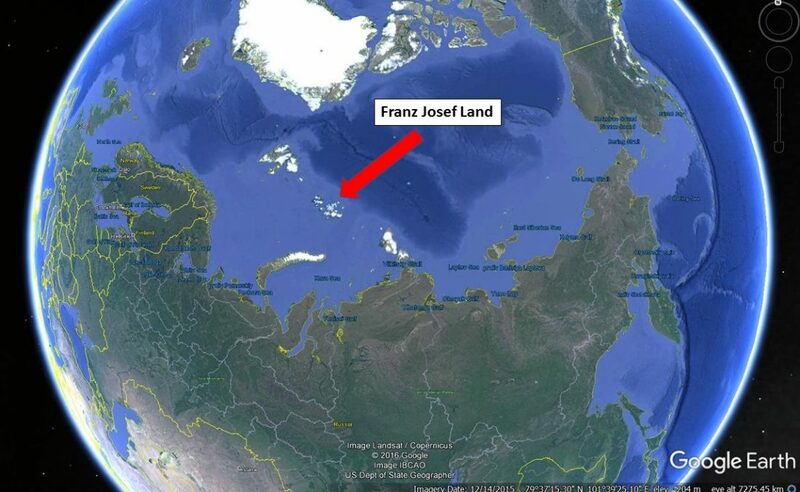 His domains lay in Central and Southern Europe and it is therefore all the more surprising that the archipelago named after him – Franz Josef Land – should be located in the Arctic Ocean and be today a Russian possession of considerable strategic value. Another article (Click here to read it) on this site describes Austro-Hungary’s Novara scientific expedition of 1857-59. 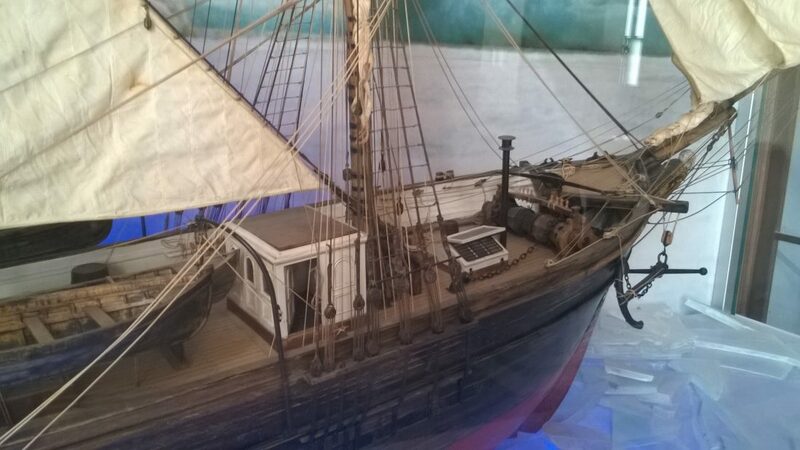 In this period, such expeditions were matters of international prestige comparable to space exploration in our own day and Austro-Hungary, which had only acquired a navy in the aftermath of the Napoleonic Wars, was keen not to be left out. The resulting Novara expedition was to be a triumph that included oceanographic and geomagnetic surveys as well as onshore botany and geology of lands visited and it provided material for what would become Vienna’s Naturhistorisches Museum in such volume that some of it is still under examination today. 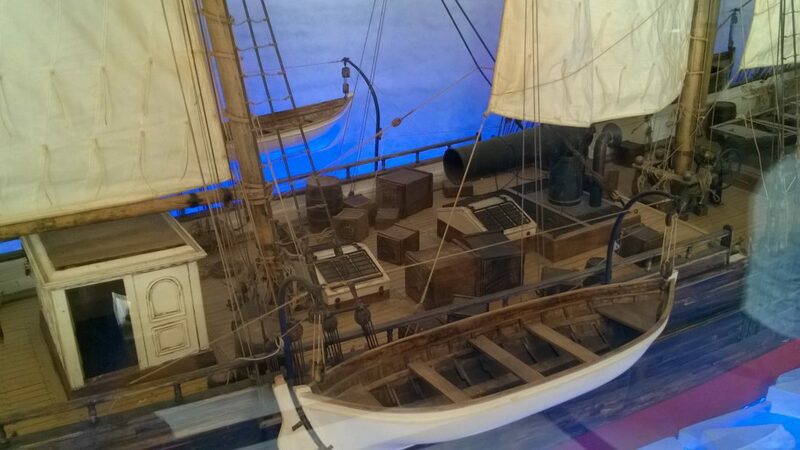 My wife and I spent two days in the museum in September 2016 and we could have spent an entire week there with no less pleasure and were impressed by two splendid models of ships which had participated in important scientific expeditions. 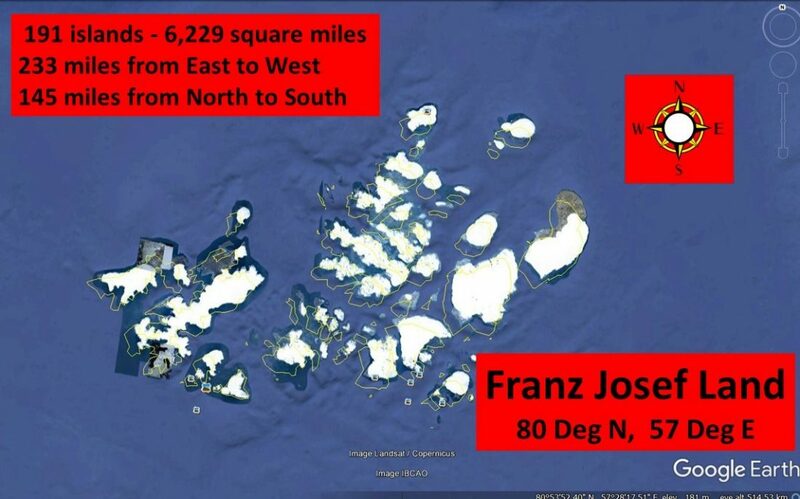 The first was the previously mentioned Novara, but the second was of the later Tegetthoff, which was responsible for the discovery of Franz Josef Land. 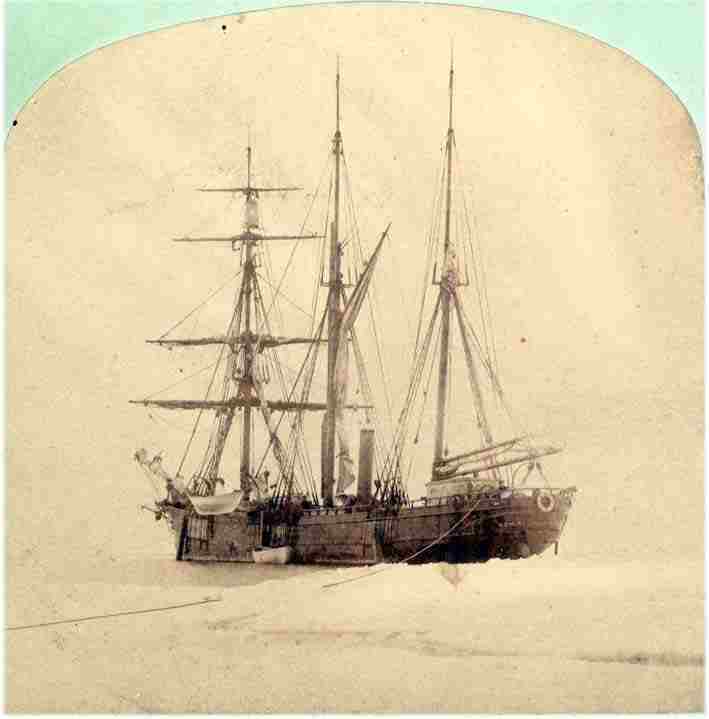 By the 1870s the Arctic had become a major focus of exploration activity (click here to see separate article). It was not surprising therefore that when a major Austro-Hungarian scientific and exploration effort be launched in the early 1870s the focus was to be on the Arctic Ocean and investigation of a possible route to the North Pole. Financed by two noblemen, the exploration was to concentrate on the area north-west of Novaya Zemlya. It was under command of a Captain Karl Weyprecht, who had himself served under the famous Admiral Tegetthoff, for whom the vessel was named. The crew was small – 24 in number, including scientific staff. The Tegetthoff departed from Tromsø, in Norway, in July 1872. A month later she found herself locked in pack ice north of Novaya Zemlya. 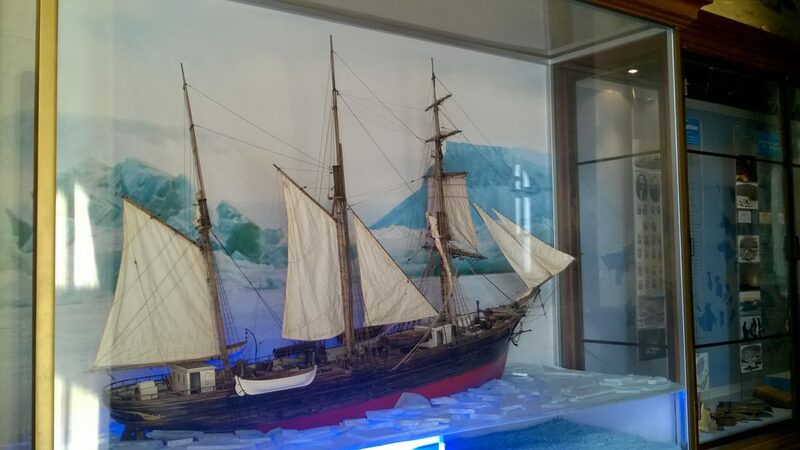 The phenomenon of ice-drift in the Arctic ocean was not yet known much less understood, and the ship was in the same nightmare situation as the American Jeanette expedition of 1878-81 (Click here to read separate article on this). Though there was continued expectation that the ice would ultimately release its hold and give access to open water, the Tegetthoff was now drifting into the unknown. 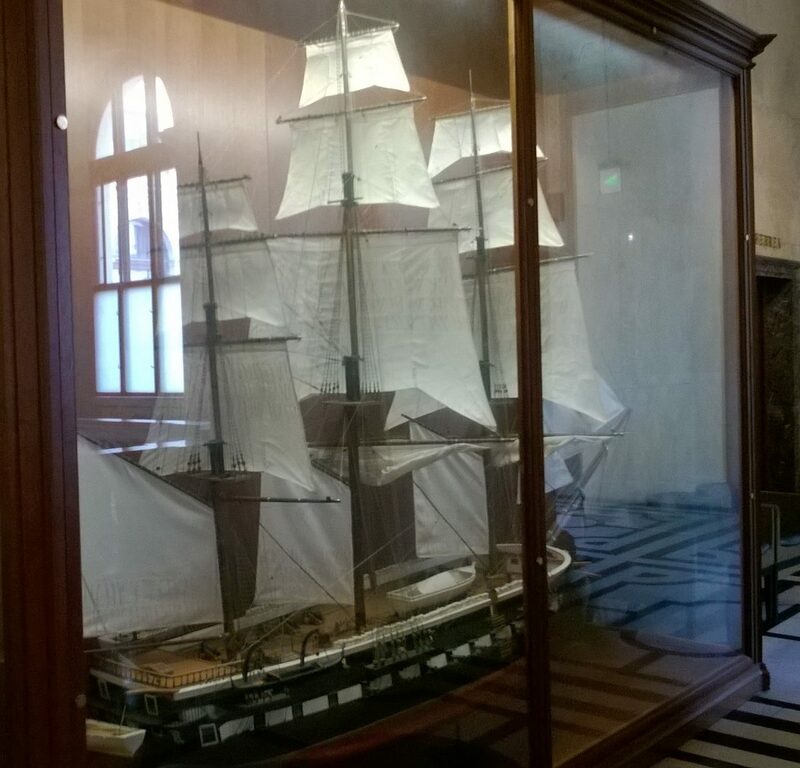 The ship was to remain locked during the winter of 1872-73, through the summer that followed, and through another winter, 1873-74. Hope, discipline and morale remained high however and when an obvious land mass was sighted a sledge expedition was despatched, under one of the expedition leaders, Julius von Payer, to investigate. The land discovered proved to be an archipelago, now known to consist of 191 islands, and one of the most barren places on earth, and then wholly uninhabited. It was duly named after Emperor Franz Josef. In our own day, accustomed as we are to instant global communication, it is difficult to imagine just how desperate was the plight in the past of any vessel held in the ice, with no definite prospect of being released, and no means of contacting the outside world to call for help. It is therefore all the more credit to the Tegetthoff expedition that, even in these potentially lethal circumstances, scientific work proceeded calmly and systematically. It seems to have emerged later that this may not however have been the first sighting the Franz Josef archipelago, since a Norwegian sealing vessel may have done so in 1865. Anxious however to keep secret what could be a fertile area for sealing and whaling, and to ensure that other vessels would not come to exploit it, no announcement was made by the captain responsible. The Tegetthoff Expedition’s objective was however less mercenary and the credit for the discovery is therefore due to it. One cannot be impressed by the cool-efficiency with which sledging parties were sent out throughout 1873, even though the prospects for release of the ship from the ice became more grim by the day. On one of these sledge journeys von Payer reached 81° 50′ North, the highest latitude achieved up to that time. When spring arrived in May 1874 the expectation that the ice might free the ship was proved vain. The decision was accordingly taken to abandon the Tegetthoff and to strike out for the open sea, dragging the ship’s boats. The journey involved must have been a nightmare and it lasted almost three months, but on 14 August 1874 open water was reached. The boats carried the crew to Novaya Zemlya, from where a Russian fishing boat carried them to Northern Norway. Weyprecht, von Payer and their men were accorded a well-deserved hero’s welcome at each stage of their returned to Austria through Norway, Sweden and Germany. Their entry to Vienna was greeted by a crowd numbered at over a hundred thousand. For all that the Tegettoff herself had been lost, her scientific contribution had been enormous. The empire that Franz Josef had ruled lasted only two years after his death and is now a distant memory. It is ironic therefore that in the wastes of the Arctic, where he himself never set foot, his name should be preserved.